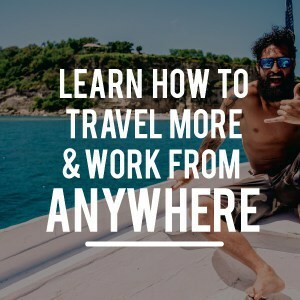 My buddy Jeff and I will be jumping on a plane bound for Cartagena, Colombia to spend the next 6+ months traveling around South America on a budget. Undoubtedly, the bulk of our time will be in hostels, couchsurfing, WWOOFing, and busing around. But I do hope to get in plenty of time in the mountains, at least camping and hiking, hopefully a little peak bagging (renting gear). It is extremely challenging for me to balance the competing demands of city life and mountain life with only what I can carry on my back. I have never actually done the nomadic backpacking thing before. I’ve traveled overseas, I’ve studied abroad, but I’ve always kind of had a home base when I arrived. I’ve never had to fit EVERYTHING I need and want on my back for months on end. I’m pretty sure I want to take my sleeping bag, shelter, stove, etc in addition to my sweet travel laptop and camera gear. All in all my FINAL packing list is clocking in at around 32 pounds, with no food and water. It all fits into my CiloGear 40L Pack with enough wiggle room for food and other stuff, and it makes for an awesome travel backpack, at least for us guys. Sorry ladies, I can’t help you, but you may be better served by this comprehensive guide to women’s travel backpacks. 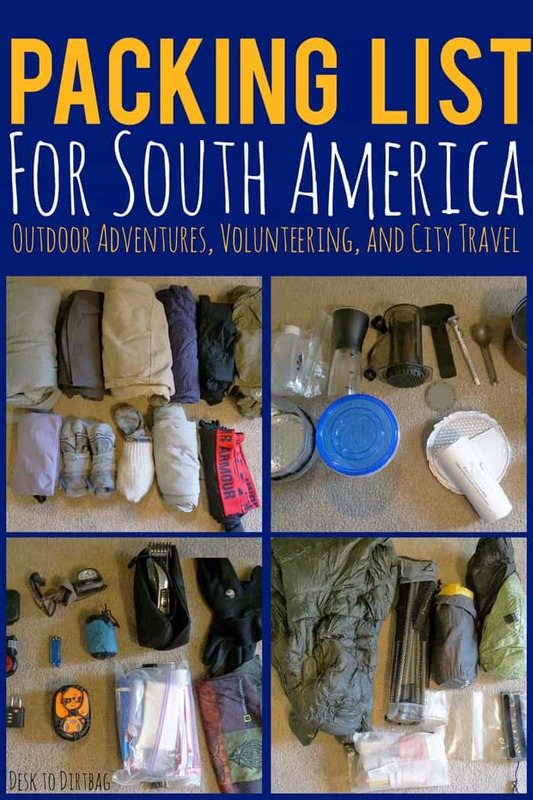 Below you will find photos and my complete packing list for 6+ months in South America. Feathered Friends Vireo Sleeping Bag and stuff sack 1 2.8 Hoodless, zipperless sleeping bag. CiloGear 40B Work Sack 4 1.2 Weight with all straps, support, etc. REI Flash 18 11 Daypack/carry on pack. Sea to Summit waterproof bag and S-biner 1.2 Extra to keep electronics dry. Columbia Long sleeve PFG sun shirt 7 x2 (wear one) I love these shirts. Icebreaker Merino Bodyfit 150 short sleeve T Shirt 5 Wool t-shirts don’t stink! 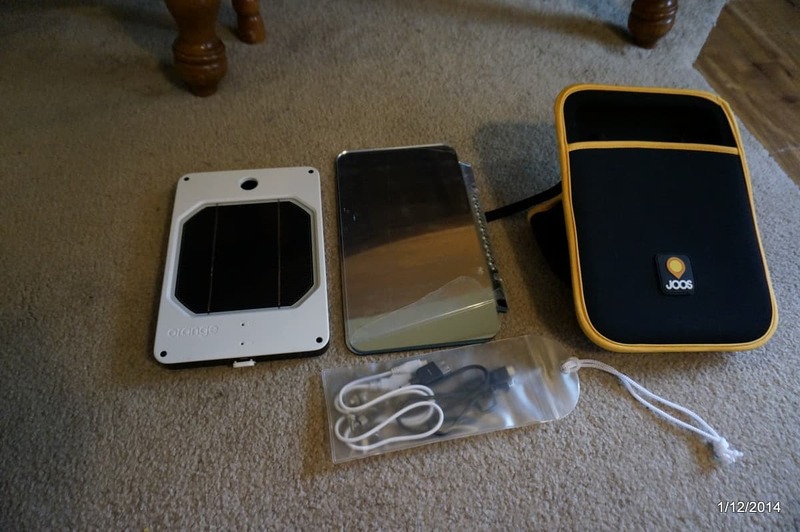 JOOS Solar Charger 2 11.6 Since replaced with the BioLite SolarPanel. 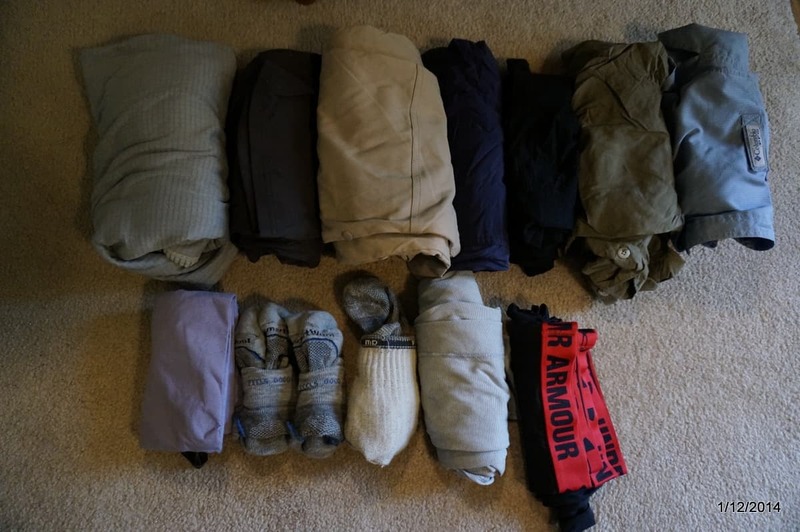 Bearing in mind that this packing list is meant to balance camping, city travel, WWOOFing, and a variety of situations, I think it is pretty comprehensive and overall pretty lightweight. In retrospect I was very happy with all my decisions. 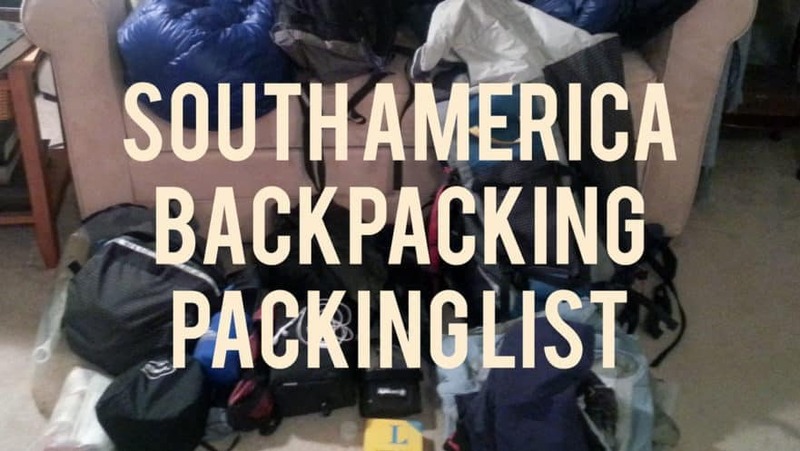 Did you enjoy this South America backpacking packing list? Please take a moment to share it on Facebook, Pinterest, or Twitter. Great packing list, but I am sure it can still be trimmed further. 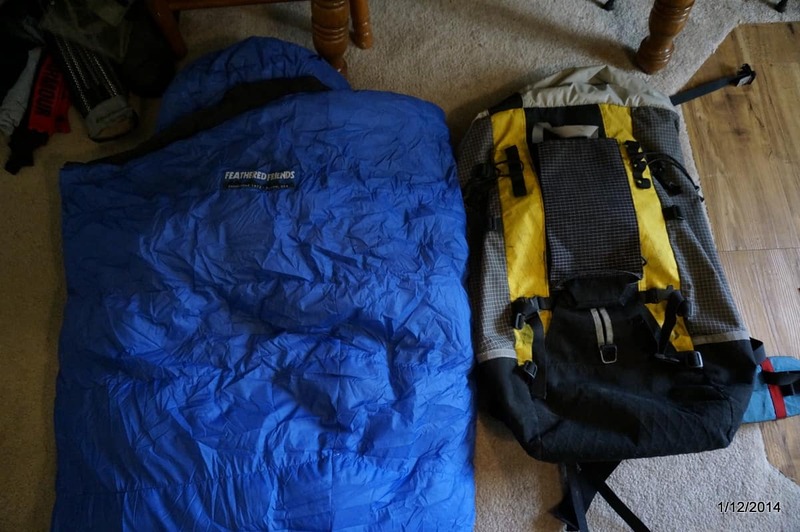 For example, I would leave the sleeping pad behind since I already have the tent so I guess the tent floor would be enough insulation between my sleeping bag and the ground. But that’s just me lol! Not a great idea without a sleeping pad if you’ll be sleeping on the cold ground. It’s not just for comfort, but a critical piece of insulation below you. Muy importante if you’ll be sleeping in the mountains. Cool, thanks for the comment, Laura! A lot of the backpacking that I want to do, is in the higher elevation of the Andes and Patagonia areas, but also jungle and other treks, not to mention random camping to save money. What degree-rated sleeping bag would you recommend? 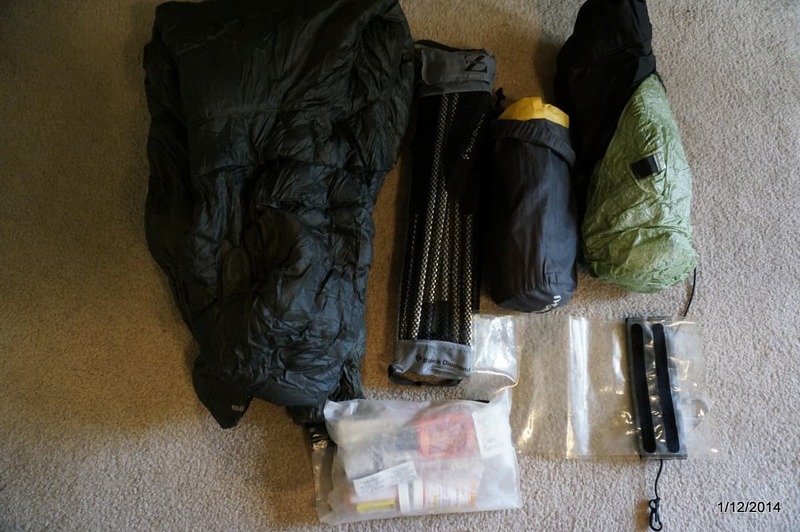 I want to bring as light of a sleeping bag as possible, due to size in my pack, weight, and being too warm to use in the Northern half of South America and all of Central America. I had considered the Feathered Friends Vireo in the past, but the footbox is supposed to get really hot. True? Was it worth it for you to bring your camera along? I have a DSLR camera that I love, but I worry about theft and pack space/weight. Did you ever wish you had brought hiking boots? I’m so torn as to what footwear to bring with all of the walking that I’ll be doing. I was considering bringing some sport sandals (regular wear around towns, when it’s raining, crossing streams, and beach life) and hiking shoes. Hey there David! Thanks for the questions, I’ll do my best to hit on everything. It’s definitely a little challenging to pack for all the different circumstances you’ll be encountering. 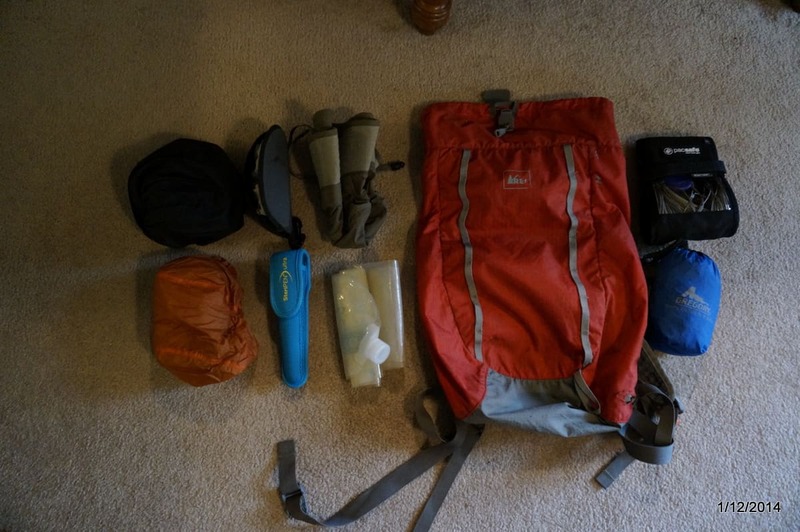 Lightweight and ultralight style backpacking/hiking gear is the ideal way to go, in my opinion. It allows you to bring along a full camp setup while also having room/weight for all the other stuff you’ll likely be bringing. 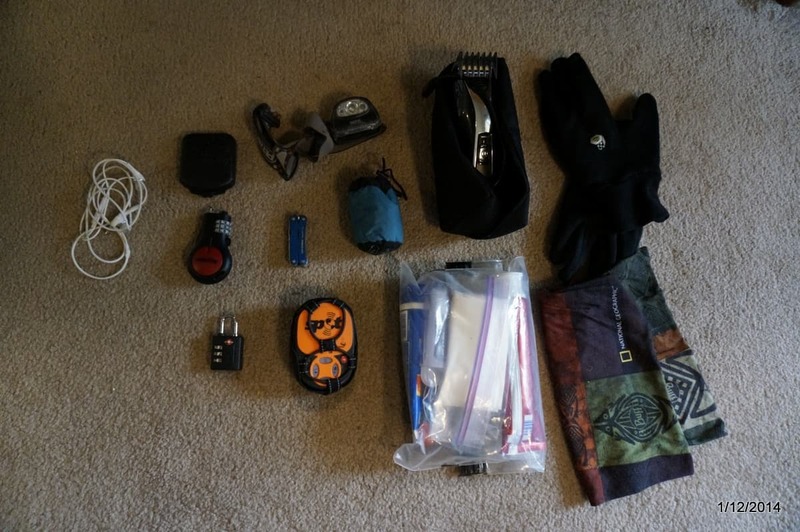 Then when you are out on the trail you can usually just stash your excess gear with the hostel/hotel. I think something around a 30 degree bag is the most versatile. You can push it a little below that with other clothes or cold weather sleeping tactics, while also making it work in warmer temps while not suffering. If I buy or bring one bag I go for that temp. While camping in Colombia I never really had moderate temps. It as cold in the mountains, and scorching hot on the coast. I’ve used the Vireo numerous times and have never found it to be uncomfortable in terms of heat. You can always make adjustments–take the socks off, lower the bag around your waist, kind of just drape it over you, etc. I like the bag, for what it is–super light and portable. The footbox is definitely narrow though. The camera thing depends on how much you adore taking DSLR photos. I didn’t use the camera as much as I thought I would–in reality only when I was out in the mountains or the pueblos. Usually I felt a little uncomfortable carrying around a big camera in the cities. I think I would have just preferred a really high end point and shoot like the Sony RX100 that I could have placed in my pocket but is still versatile enough to shoot in manual or RAW. I never wished for hiking boots, no. But I made the transition to UL backpacking a few years back and have long since abandoned the idea of boots, except for when I need crampons. Trail runners are great, but they have a limited life span–so it kind of depends on how much use they’ll be getting. Approach shoes were how I went–a little more robust and durable. I would only bring two pairs — the hiking shoe or low cut boot, and a pair of lightweight sandals. Hey Marek, thanks for the comment! Yeah without the camping and outdoorsy pursuits my list would look totally different and be considerably lighter as well. I’m definitely of the less is more mindset when it comes to life and travel. 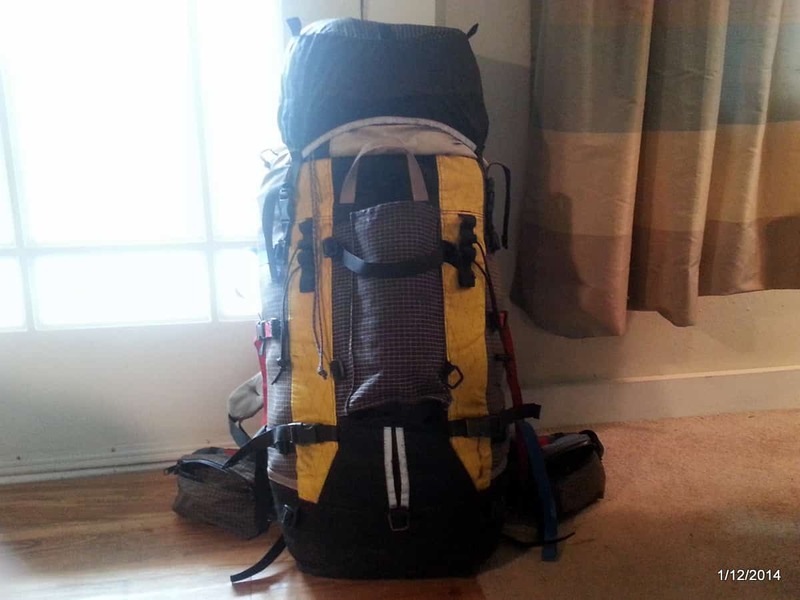 I’m able to fit this whole variety of stuff in my 40L pack–smaller than many backpackers I’ve met who are NOT bringing along any camp gear, but just traveling through the cities. Hey! I thought this packing list was great, as I’ve been thinking about a South American trip that includes a lot of time in cities as well as some extended backpacking/trekking. I would be really interested to hear how this has turned out–what you wish you had left, what you wish you had started with, etc. Hey James! Thanks for checking in… Most everything that I brought has been used at one point or another–I am overall happy with how I chose to balance the outdoorsy/city stuff. Although I have definitely used the outdoorsy stuff less than I thought I would, especially as I settled down in Medellin (just use it for weekend trips). Initially the camping stuff got a lot more use, camping out on the beach, volunteering on rural projects, heading to the mountains, etc. My situation was unique in that I was travel with my buddy, who has sense returned home… We mostly packed so that we could remain totally self sufficient for camping purposes (for exactly that reason–if one of us left), ie two little stoves, little first aid kits, etc, etc. But he did have the tent which we mostly used. I brought the bivvy sack thinking that would be my replacement when he left. But I haven’t used it once. Since then I have borrowed tents or traveled with others, not just going solo. Upon reconsidering it, maybe it would have been better to bring my own tent… But I’m not sure. Plans do change… I never thought I’d be settling into Medellin like this. One thing I wish was that I had more clothes… At least here. I didn’t care when I was traveling every other week or whatever. It was fine to have so little. My mom came down to visit me in July and I had here bring a few normal clothes (jeans and cotton tshirts) to add to the mix. Some things that people recommended I don’t bring, like my coffee kit, I am absolutely happy that I brought it. I think it is good to include at least one luxury/splurge item that you enjoy and will regularly use. The only other item that has been added really was an ENO DoubleNest Hammock that my buddy’s girlfriend brought down with here. That thing is an amazingly comfortable luxury campsite addition. Hope that proves somewhat insightful–maybe down the road I will have some additional thoughts. Thanks for the additional information! Many of the things you have done sound a lot like what I’m interested in, and I’m enjoying reading about your adventures, even though I’m just beginning to read through your blog. I have an ENO Nest and really like having it on camping trips–it’s on my initial backpacking list too. I hope to be setting off on a similar trip one day! One other question. 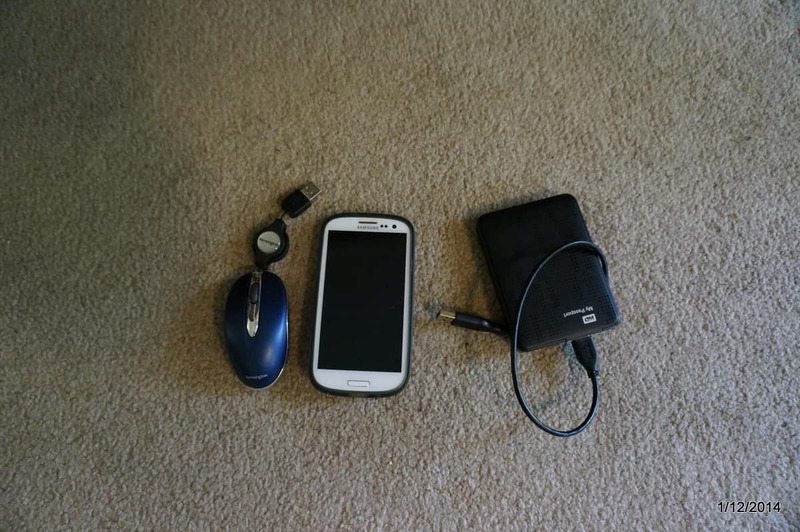 Did you find you needed/used the pacsafe? I’ve heard people say they used it the first week and pretty much stopped. I’ll be staying in hostels and small inns for the most part, but I’ve never actually seen anyone using this. I haven’t backpacked in South America though. I did use the PacSafe during my time backpacking here… I have mixed feelings about it. It did give me a piece of mind that no one was going to jack some little thing out of my pack when it was out of site on buses, in hostels, etc. 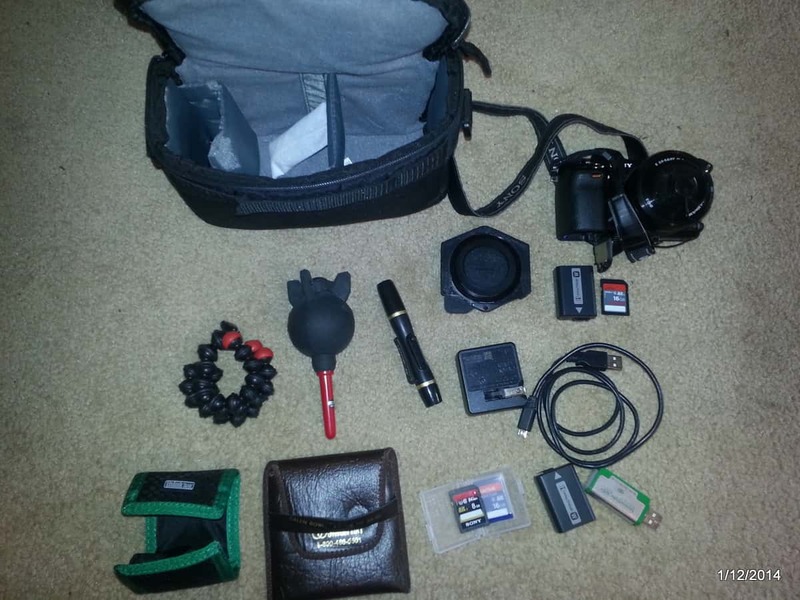 I mostly kept my actual valuables (camera, computer, etc) in a small daypack that I kept with me while traveling on buses. The PacSafe was definitely nice to have while camping… There’s no way to protect your valuables out there, so my buddy and I would use the pacsafe and then lock the bags together. But it can be annoying to put on and take off. My buddy was frequently cursing at his PacSafe. Soooo… The answer is a definitive “I’m not sure”. 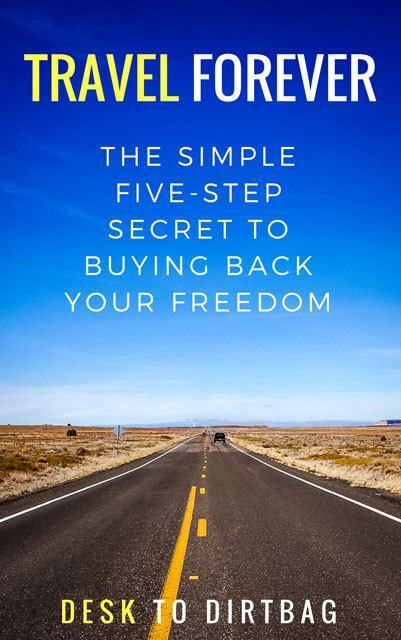 If you tend to worry about your things, it’s price and weight are probably worth it. Thieves here in South America are definitely opportunists that will steal stupid things that you wouldn’t even think would be worth stealing if the opportunity presents itself. But they also rob at gunpoint–and if they want your entire pack, the pacsafe can’t stop that. I also feel a little conflicted about it, because just having the pacsafe on your bag says “I have valuable stuff inside that I don’t want you to steal”. So if you do go the PacSafe route, be sure to get a pack rain cover which will draw much less attention. Sounds like a sick trip! List looks good only things I might add are a full body bug net for warm nights sleeping out (if you can find a light enough one) and rehydration powder and/pepto tablets. I have a fairly weak stomach though and spicy food always gets me in trouble when I travel. Have a blast, look forward to your stories! Thanks for checking it the list, Ben. I will likely pick up a cheapo bug net down there at some point… for jungle adventures in particular. The Pepto would probably be a good addition to my kit though, for sure. Ahhhh, lucky!! I have been so curious to hear about your trip since you first mentioned it. Tonight I packed for my own South American adventure that I’ll be leaving on on Wednesday! But I’ll be headed for Ushuaia, Argentina, and Antarctica. I won’t have much internet access while I’m on the boat to Ant, so I will look forward to reading your updates when I get back to Ushuaia for a bit! Ahh lucky you! Antarctica that should be incredible. A buddy of mine just left to go work on McMurdo for the season… I look forward to reading your updates–I hope to maybe make it as far south as Ushuaia, but probably not Antarctica–I expect it would be a little to pricey for my budget at that point. Hey, normally I don’t tell people they should support Starbucks (which is also from Seattle, right? Ha ha) but so this ups my vote for the ultralight pour-over! Good list and good luck on the adventure! I assume you are checking your bag? If not, I would guess the pocket knife will cause you some trouble at the airport in a carry on bag. I haven’t used the aeropress before (not a coffee drinker) but if you are going to be buying coffee, why not just consider something super light like a GSI Outdoors Ultralight Java Drip? You will barely notice the weight and it should work with your mug/cup. I’m sure if would be more time consuming to use but would save you on the weight and bulk of your aeropress it looks like. 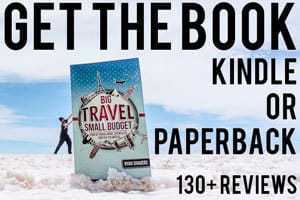 Shoot me an email and I’ll hook you up with one for your trip to test out if you are interested in going that route! Hey Chris! Thanks for dropping by and checking out my packing list. Yeah, I’ll be checking the bag… Just easier than dealing with those overhead compartments with a pack. I would ditch the entire coffee making setup. That’s just me though. The cost of buying a coffee in South america would probably be 1 dollar?. I mean, its up to your preference but i suspect many a time you will be staying in a hostel or house that has some kind of coffee maker. I know it is really cool to make coffee with the aeropress and fun, but how often would you really be spending time making coffee. Spend the time seeing stuff and/or switch to tea which just requires boiling water. Its only 6 months. ok, at minimum ditch the thermometer. Bring a picture of family or back home to show people you meet and stay with. Look into a small gift to give people you stay with. Good tip about the photo and gift, didn’t think of that really. Thanks. and at least a pair of WR pants like the Montane Featherlite. For the stove I recomend you a Caldera Cone. Canisters are hard to get, and alcohol is cheap and easy to find. for the record, I’m a trekking guide in Colombia. 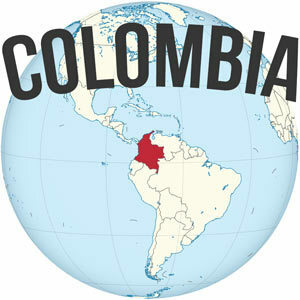 If I make it to your area in Colombia, I’d love to meet up and chat! 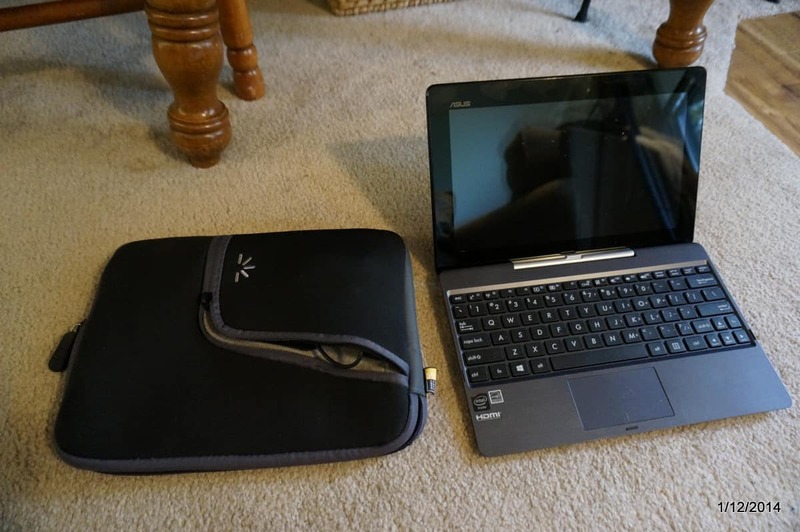 I think there is a lot of room for improvement in your “kitchen” section and I would 100% ditch the dictionary and the frommer’s guide – you’re already bringing your laptop! If you want to know a word write it down and look it up later. Also, do you have a bivy sack? Way easier to manage than a tent/tarp. 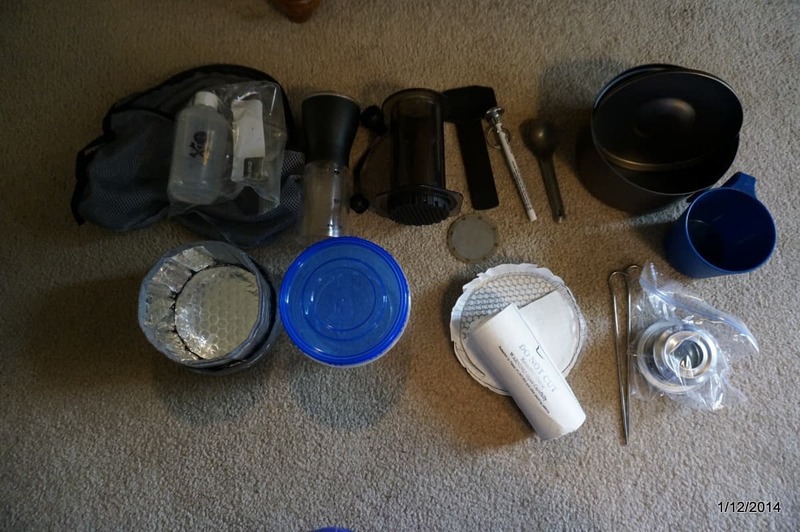 I backpack with my MSR pocket rocket and http://www.rei.com/product/798273/gsi-outdoors-halulite-minimalist-cookset – you’re cooking for yourself, not a family of 4… I also just check the full fuel canisters (oops?). You’re not bringing climbing shoes? Those are the most frustrating thing to rent if you can hire ropes/rack. Why not drive the truck down? Then you can bring all the gear you want for any weather conditions. I’m sure you can hire a ferry for the Darien gap. I’ve backpacked southeast asia, central america and india with my sport climbing set-up (60m, 12 draws) on buses, trains and motorcycles. In rural area I would sleep with families or temples along the way, didn’t do any backcountry adventures solo. I would usually just buy new clothes once I started to get holes so I never carried more than what I was wearing (wash/air out at night) – more stuff, more hassle. I’m always happiest with what I’ve packed for a trip when I’m nervous that I don’t have everything. Good luck! Awesome Kelly, thanks so much for your feedback! Actually the plan from the beginning was driving the truck down with my buddy, haha. But plans changed, unfortunately. Yeah, I figured I would ditch the books… 🙂 And I’ll have my phone (used as a tablet) so I can look stuff up. Redundant. You take the Pocket Rocket? No problems finding canisters? I have a Pocket Rocket and Jetboil… In my current setup most of my stove stuff nests inside the pot, so it isn’t too bad. I like the multiple fuel possibilities with the Ti Tri, as well. Good tip about the climbing shoes… Maybe I will rethink. I don’t know how much pure cragging I will do though… Alpine scrambles or peakbagging seems much more likely, thus the approach shoes. I will hit up Google.